Joan of Arc was an icon of the women’s suffrage movement in both the US and England (now the UK). Kathleen Kelly published an article about this very subject for the New York History blog that is appropriate to share again. When Inez Milholland, the US suffrage martyr, led votes for women parades she invoked the spirit of Joan of Arc among those who marched in the parades. This is something to remember as we go into a new year with the upcoming 2020 suffrage centennial in mind. Mark January 6th on your calendar, what is believed to be Joan of Arc’s birthday. Plan for March, Women’s History Month, on your calendar. 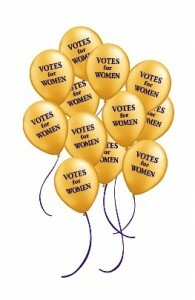 And don’t forget the effort to make August 26th (Women’s Equality Day) a national holiday. The National Women’s History Project is now the Women’s History Alliance. Membership is free. Suffrage Wagon News Channel has been publishing since 2009 to keep you updated with the “Spirit of 1776” suffrage campaign wagon used by Edna Kearns in New York State suffrage organizing. SuffrageCentennials.com highlights suffrage centennials. An example of the many products (above) available from the National Women’s History Project (now the Women’s History Alliance). Hadn’t heard about the wagon until I found your blog. I wish I had the stamina you have. Persist. persist. 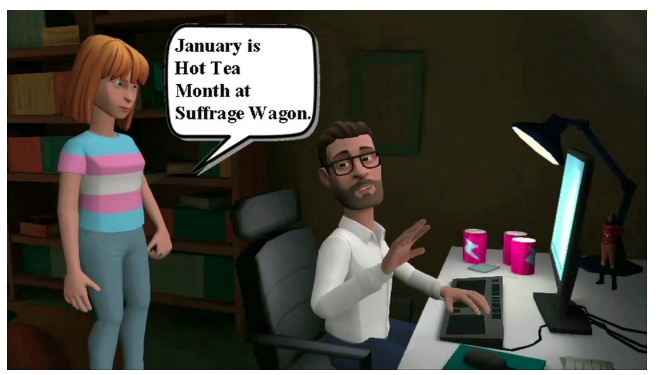 Look at what you started with loving this suffrage wagon and making sure it gets the attention it needs. You have my total support. I heard that Joan of Arc has her own museum in France. I’m not surprised that she is France’s patron saint.